As athletes, one of the most important things we can do to ensure that we perform at the top of our game is to properly fuel our bodies before, during, and after our workouts. I can always tell when I haven't been eating quite as well as I should when I struggle to complete a run and I feel sluggish at certain times during the day. There are so many things to consider when it comes to fueling properly. The truth is, there is no perfect one-size-fits-all formula we can follow because we all have different nutritional needs. But regardless of your personal carb-to-protein ratio or the timing of your meals, we all need protein in our diets to survive. For those who are active, eating a sufficient amount protein is extra important because it aids in muscle growth as well as muscle repair after a hard effort. Good sources of protein include meat, eggs, nuts, dairy products, legumes, and grains such as quinoa, rice, and oats. Most of these foods, with the exception of nuts, require some form of preparation and aren't always the most portable. 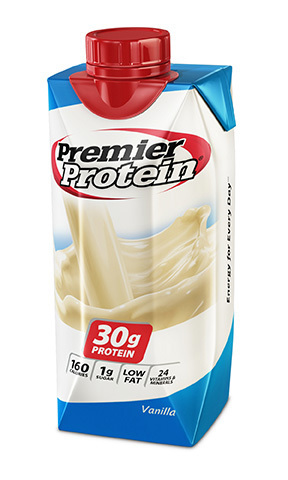 Enter Premier Protein. 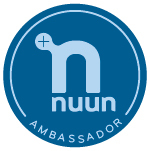 We believe that everyone should live a healthy, active life, and nutrition is the cornerstone of that life. However, we know that eating healthy and staying active is challenging in today’s hectic life, so we strive to be your health and nutrition partner—making powerful, healthy choices easy. I recently had the opportunity to try out a sampling of Premier Protein shakes and bars. The shakes come in two different sizes, original, with 160 calories and 30 grams of protein, or snack size, with 100 calories and 18 grams of protein. Both sizes have one gram of sugar and are low in fat (complete nutritional information is available on their website). The shakes come in chocolate, vanilla, and strawberry. I got to try out the chocolate and vanilla, and vanilla was definitely my favorite! Both flavors were very creamy and smooth, and didn't have that strange protein shake aftertaste or grainy texture. I really appreciate the fact that these shakes have a high amount of protein without being loaded with sugar and fat. Too often, products labeled as "high protein" also contain a bunch of other junk that seems to almost negate the benefits of the protein. Premier Protein bars are a little more substantial, with 280-290 calories and 30 grams of protein. The bars have 6-8 grams of fat and 8-10 grams of sugar depending on the flavor. The bars come in Chocolate Peanut Butter, Double Chocolate Crunch, and Yogurt Peanut Crunch. My favorite flavor out of these was the Double Chocolate Crunch. The texture of these bars is very dense. The flavor, while certainly palatable, is similar to other protein bars I've tried. For that reason, I prefer the shakes over the bars. For me, these bars would serve as a meal replacement bar, and I generally prefer real food if I'm going to eat a meal. So I found myself eating half of a bar for a snack and saving the rest for later. Looking at their website, it looks like there is also a "crisp" line of bars, with around 190 calories and 15 grams of protein (I haven't tried these, so I can't vouch for them!). 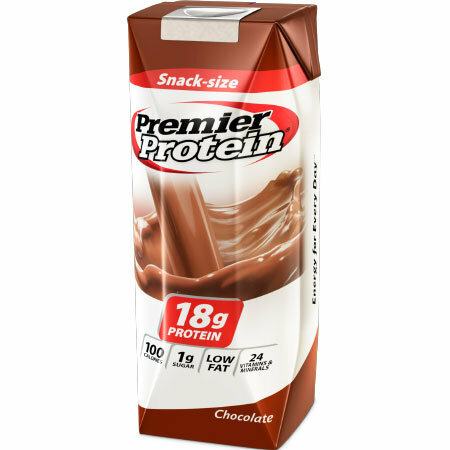 Premier Protein products can be found at select stores nationwide (enter your location here to see the nearest location). I've seen their products at Walmart and Kroger, and you can also order directly from their website. Regular size shakes are $37.95 for 24 (=$1.58 each), and the snack size shakes are $29.95 for 24 (=$1.24 each). The bars are $29.95 for 18 (=$1.66 each). When you consider the quality and convenience of these products, I feel like these prices are pretty fair. AND a snazzy Premier Protein nylon bag. Please note that this giveaway is open to those in the U.S. only. The giveaway starts on Monday, February 25, 2013 and ends on Tuesday, March 5, 2013 at 12 AM EST. The winners will be announced via blog post after the giveaway is over. I'm using Rafflecopter to run this giveaway...I've never used this before so hopefully we won't experience any user errors on my part :) Good luck! I was provided the aforementioned Premier Protein products free of charge. The opinions expressed above are my own. The winners of the giveaway will receive the specified products free of charge and no purchase is necessary. Since I am exactly 2 months out from the Blue Ridge Marathon, I thought I'd give an update on how my training is going. My last post about training included a lot of frustration about my foot hurting and it was clear I had a lot of doubt about whether or not this was going to happen. Thankfully everything has taken a turn for the better and my training has been going great (I almost hesitate to say this because generally the minute after I feel confident I manage to run into another setback...). This has since gone into the trash and I have yet to make a new one. I've got a "plan" in my mind for the progression of my long runs, but during the week I'm just kind of winging it and doing what I feel is best for me on that day. Sometimes it's 3-5 miles, sometimes it's a ride on the trainer, and sometimes it's a rest day because I feel like my body needs it. My intention each week is to run 3-5 miles at least twice, ride the trainer twice, and do some strength training twice. Subject to change each week, of course. My last three long runs have gone really well. As I mentioned last time, I did my 12 mile long run on the treadmill at the gym. Honestly it wasn't that bad. I didn't even listen to music or plug my headphones in to listen to the TV. I just did a lot of people watching since it had been about 8 months since I'd set foot in the gym. I kept the incline at a minimum of 1.5, and I included some more "hills" occasionally. I really wish treadmills had a downhill feature, because honestly that's one of the hardest parts about BRM. 12 miles in 2:11 (10:54 pace) - DONE! My 14 miler was cold, but it was another successful long run. I did 4:1 run/walk intervals (run 4 minutes, walk 1 minute), and this helped me to maintain a pretty steady pace, with the exception of when I was going up/down the mountain. This also helped me to feel like I could keep going when I was done, and I feel like I was less sore the next day. I'm pretty sure this method is the only thing that is (hopefully) going to get me through this marathon. 14 miles in 2:40 (11:30 pace) - DONE! My 16 miler last weekend also went well. I used the 4:1 method again, and once again I ran a consistent pace and still felt good at the end. In fact, my last mile was my third fastest mile (after my first mile (oops!) and a mile coming down the mountain). As you can see from the elevation chart, I ran up the same mountain again and added some additional climbing afterwards. 16 miles in 3:02 (11:23 pace) - DONE! Yep! That's a faster average pace than my 14 miler with almost 400 more feet of elevation gain and 2 more miles. This weekend is a cutback week, so I'm only running 10 miles. After that, my plan for my long run progression is 18, 10, 20, 10, 20, 13, 8, RACE! Race day being two months away sounds like a decent amount of time, but when you consider that I only have 3 more "super duper" long runs before I start to taper, it starts to feel really close! While I was able to exercise pretty consistently in January, my running hasn't been as consistent as I would like for it to be thanks to some issues I'm having with my left foot. Normally this wouldn't be a huge deal...I'd take a week or two off from running and move on. But right now it's frustrating because I'm supposed to be well into my training for the Blue Ridge Marathon on April 20th. My issues started the week after my first long run of training on January 5th. It was an 11 mile run with a good bit of elevation. In the days following my long run, I took a rest day, then ran 2, 4, and 3 miles with no issues. No major mileage here, right? Then one night when I got up from the couch I experienced a sharp pain in my foot that didn't go away for almost 2 weeks. It started in the top of my foot (DO NOT Google "top of foot pain" or else you will be convinced that you have a stress fracture). Then it migrated to the arch of my foot and bothered me whenever I pushed off, but not with every step. After realizing that it wasn't getting better, I got my chiropractor to look at it and treat it. She didn't seem to be too concerned but she advised that I not run on it until it feels better. I feel like it was a foot strain or something. Thankfully cycling doesn't bother it at all, so I can ride all I want. Unfortunately it's winter so that means most of my rides are inside on the trainer unless we have some more crazy warm weather like we've had this month. Anyways, this has put me about 2 weeks behind and I've had to rearrange my training plan. I had a little wiggle room in my plan before, but now there is very little room for any more delays. 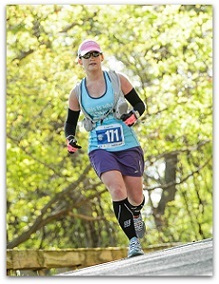 I was able to run 10 miles last weekend, but I stayed on flat ground to avoid any extra pounding on my foot. My foot felt fine during and after my long run, but I could feel it start to hurt again after one of my weekday runs this past week. As you can imagine, I'm really frustrated with this. One day I think I might actually accomplish my dream of running a marathon. The next day I see my dreams going down the drain. I have yet to feel confident when I tell somebody that I'm training for a marathon again. I always say something like "Well, I'm trying to train for a marathon, but we'll see if I make it there...not sure if my body is going to hold up...I didn't make it last time...". On one hand this is a terrible attitude to have, but on the other hand I'm trying to be realistic and smart. 1) It's going to be 15 degrees tomorrow morning when I need to start running. 2) The route I take for all of my long runs was completely under water 2 days ago thanks to some crazy flooding, so it's likely still covered with trees and debris (if it's not completely closed). 3) The treadmill is easier on the body and I can stop if my foot really starts to bother me.